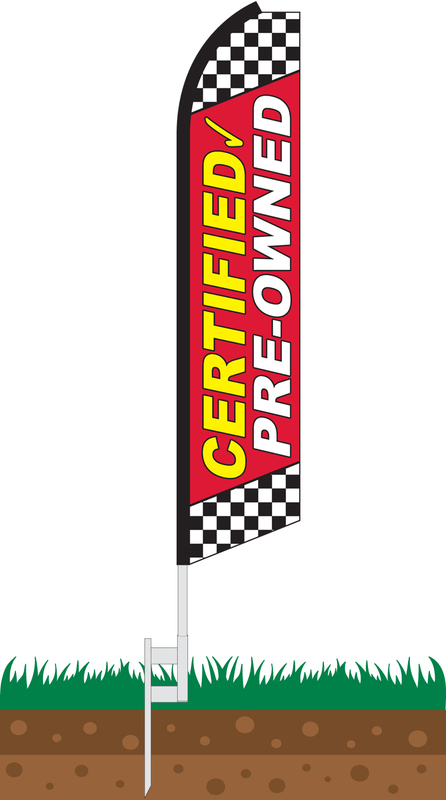 Our Certified Pre-Owned Red Swooper Feather Flag features a red background with black/white checkered pattern fields on the top and bottom. 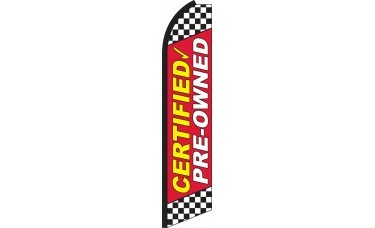 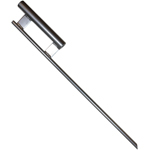 In the middle of the flag in white and yellow bold text with a black outline reads "Certified Pre-Owned" with a check mark. 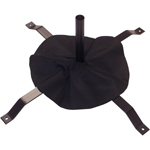 This flag is frequently used by new car dealerships to attract customers to their certified pre-owned vehicles.